Available now! 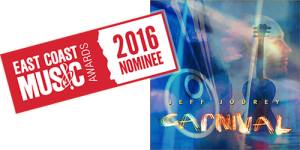 Jeff’s new ECMA nominated album CARNIVAL! A beautiful 9-song instrumental album showcasing groovy, melodic, fingerstyle guitar. Originally from Annapolis Valley, now based outside of Halifax, Jeff is an ECMA nominated artist who has been dedicated to the craft of guitar for over 30 years. For several years he studied with world-class multi-instrumentalist Daniel Heikalo, and most recently with acoustic guitar master Don Ross. He committed to fingerstyle guitar playing after hearing Rik Emmett’s Midsummer’s Daydream in 1985. During the early 90s, Jodrey co-founded Toronto acoustic indie-rock band Winebible, and toured Ontario and Eastern Canada with radio and video singles “Things You Put Me Through,” and “One More Day,” and sold thousands of copies of their three albums: Pack Of Smokes, Winebible, and Summer Of 1997. 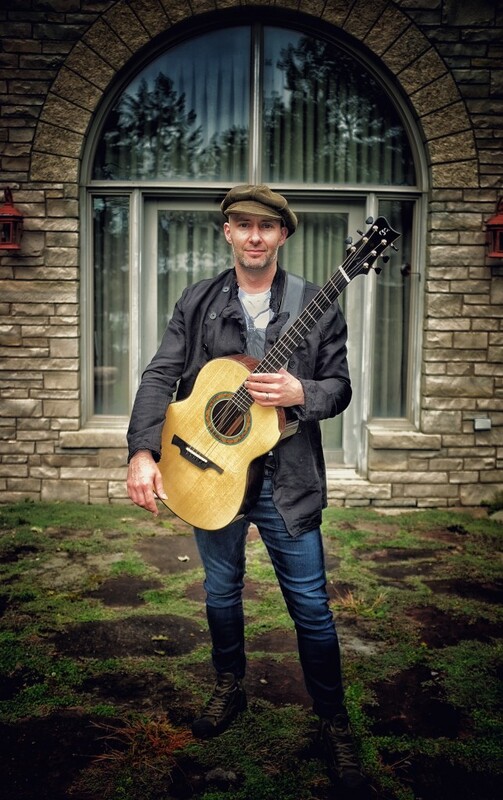 In late 1997, Jodrey returned home to Nova Scotia, and performed occasionally for War Child Canada benefits and weddings, as well as released his first solo guitar record, Instrumental Guitar For Folks With Good Taste (1997). After taking a break from music to raise a family, he returned to his guitar, inspired by Mark Knopfler, Tommy Emmanuel, Ron Sexsmith, Joe Satriani and Don Ross, and composed an inclusive instrumental record for all listeners. Carnival is his most recent ticket.